Ann loves fine automobiles almost as much as she loves media planning and purchasing. OK. She loves cars more. Especially good-looking fast ones. But, it is safe to say she’s better behind the wheel of a high-powered media plan than her BMW. 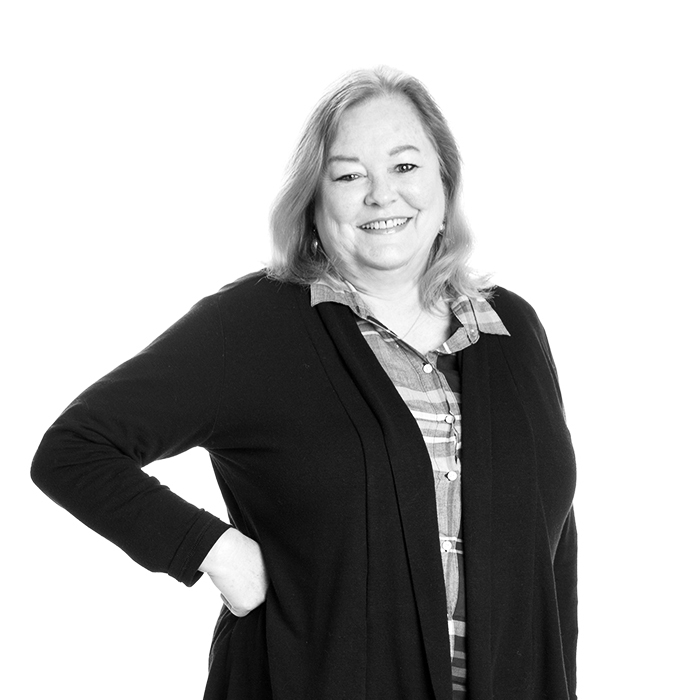 That’s all we’ll say about that.Drawing from more than 30 years of experience buying for international, national and local accounts ranging from the San Antonio Convention & Visitors Bureau to American Airlines, Ann runs the Media Department like a well-oiled Indy car. With her guidance, our team of pros finds the perfect vehicles to carry the message and ensure all strategic goals are met. Ann starts with a base of quantitative research and overlays that with qualitative lifestyle research to focus messages to those most likely to use our clients’ products or services. The result is more exposures and, bottom line, better use of our clients’ media dollars. She’s also a formidable negotiator when dealing with media reps. Or car salesmen.Ann attended Southwest Texas State University and the University of Texas, Austin. Not to mention a number of driving schools for insurance purposes. She also saw The Beatles in concert. Favorite song: “Baby, You Can Drive My Car.” What else? San Antonio Convention and Visitors Bureau, South Padre Island Convention & Visitors Bureau, The Woodlands Convention and Visitors Bureau, Plano Convention and Visitors Bureau, Children's Hospital of San Antonio, CHRISTUS Health System, Heart Hospital of Austin, Spurs Sports & Entertainment, AVON, Gerber, Sprint CSG (National) and PCS (Texas Region), The Home Depot, American Airlines, General Motors, Continental Airlines, Norelco, CapitalOne, EchoStar (Dish Network), Polaroid, Hyatt Regency Hill Country Resort, CARQUEST, Cholula Hot Sauce, Whataburger, Fiesta Texas, Builder’s Square, Van den Bergh Foods, Albertson’s Grocery Stores, Retama Park Raceway, Laredo Convention & Visitors Bureau, KMOL TV, American Brick, Champions of Stone Oak, The Valero Alamo Bowl, Fletcher’s Corny Dogs and the University of Texas Health Science Center.